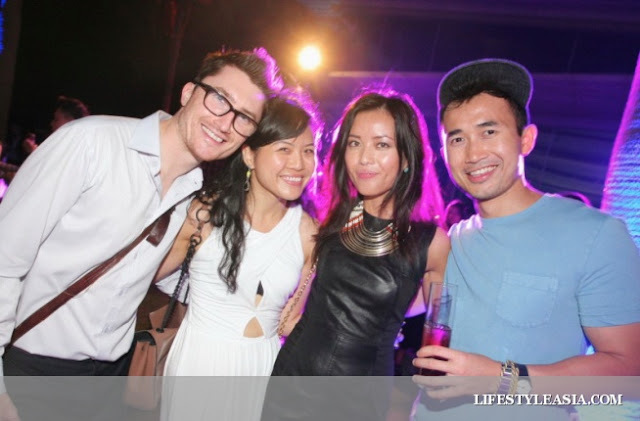 We were so pleased to have a friend invite us to the Pre-opening party of W Singapore Hotel, Sentosa. Although we didn't see much of the hotel itself, we enjoyed cocktails and fantastic canapés (whoever invented chocolate mousse 'push-pop' style is a genius) in the Glass House and the outdoor area on the water front. We were treated to a fashion show by Mae Pang, showcasing a collection of graphic, bold silhouettes, in textured fabrics of blues, greys and neon yellow. Music was provided by DJ set Gigamesh + Mr Has, and we were also given a fantastic performance by the Urban Drum Crew who were very entertaining and visually stunning! Great event entertainment!